Bloodstone is said to keep one from becoming discouraged when one meets obstacles on one’s path. It may assist one in feeling capable and self-sufficent. It said to strengthens one’s sense of connection to the Divine, revealing feelings of isolation or loneliness as illusion. 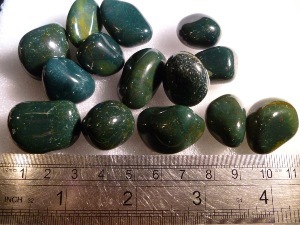 Bloodstone tumbled to a smooth finish, an ideal pocket size stone, small enough to carry around with you. Tumble Stones can also be placed around the home for their energies or can just be nice decorative items. 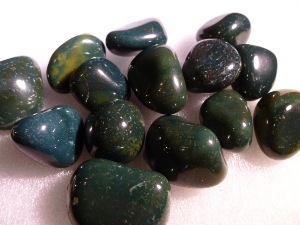 Bloodstone crystal gemstones of varying sizes selected specially for your order.